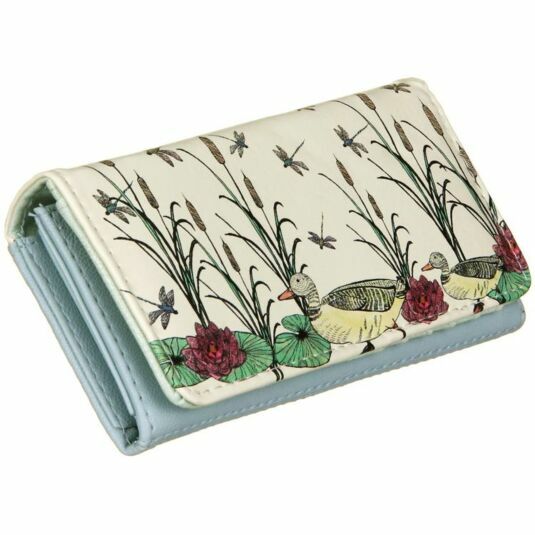 The wallet is made of faux leather, and the cream front features a pair of ducks swimming on the calm surface of a pond, among bullrushes and lily pads, with blue damsel flies flitting above them. The pen and ink illustration is delicately tinted in shades of yellow, pink and green. Inside, the wallet colour is partly duck egg blue and partly verdigris green, in a combination of faux leather and faux silk. 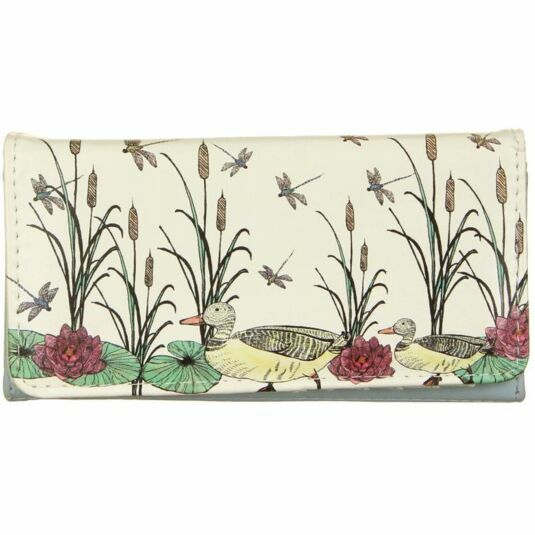 The duck and lily motifs are repeated and the water lily appears again on the back, which is pale blue and has a further zip compartment. The wallet is held firmly closed by a press stud. 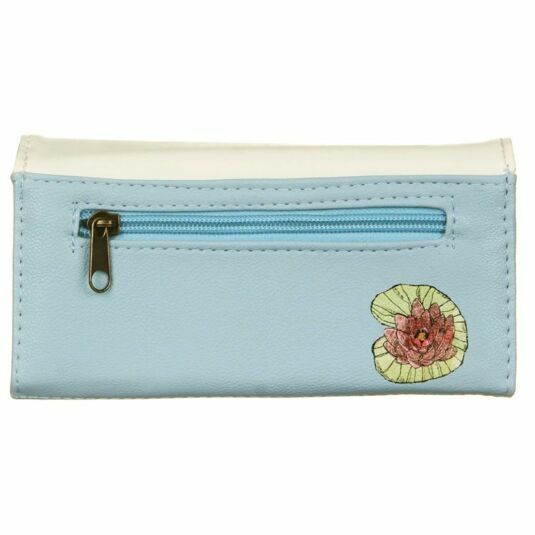 There is a zipped compartment for storing coins, and five pockets for cards, as well as a transparent pocket for tickets and photos or travel cards. A divided compartment hides behind the card section, and there are three further sections on the coin storage side. 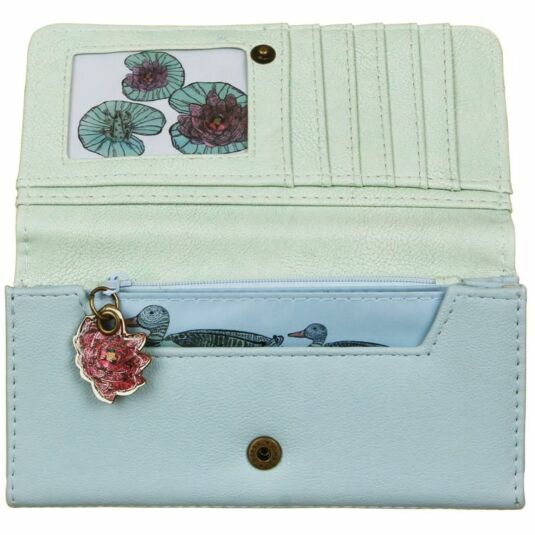 The coin storage purse closes with a zipper which has a pull in the shape of the water lily. 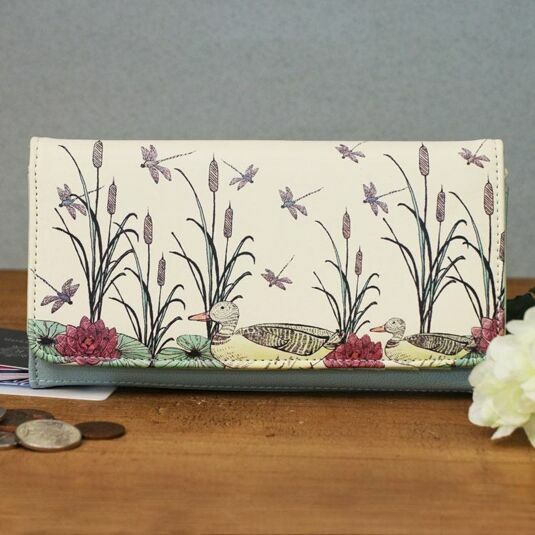 Nature lovers and romantics will love the style of this beautiful accessory, which will appeal to all ages, from teenagers to mothers and grandmothers.